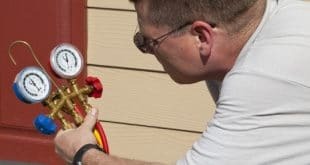 Heating, air conditioning, and refrigeration mechanics and installers, also known as HVAC technicians, are professionals trained to work with heating, cooling, ventilation and refrigeration systems in homes and buildings. If this career piques your interest, continue reading and learn all about HVAC technicians. There were almost 300.000 HVAC technicians employed in the U.S. in 2014 with around one in ten self-employed, according to a U.S. Bureau of Labor Statistics (BLS) report. HVAC technicians work in a variety of work settings, including the following. Depending on where they work or for whom, they may travel to different locations each day or may be at specific sites. For instance, self-employed HVAC techs may travel to different homes to repair or install heating and cooling systems, or they may work for an HVAC business that has them installing new systems in buildings or offices. This career offers technicians a lot of versatility and challenge. While they typically work during the day, HVAC techs may also work in the evening or weekends when heating and cooling systems are in need of repair. They may also be called into work on holidays. 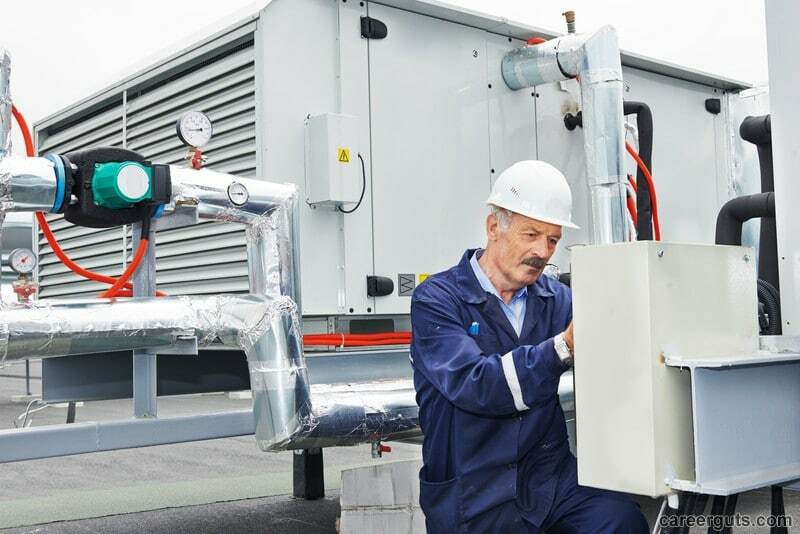 HVAC technicians are often referred to as mechanics and installers because this what they do in the course of a day – install, maintain and repair HVAC systems. They have a wide variety of duties. HVAC technicians may choose to work on all types of systems and may have a variety of different types of customers or they may choose to work in just one area of HVAC technology. They may choose one of the following areas of specialty. HVAC techs spend a lot of their work day indoors but may have work outdoors occasionally on outdoor heat exchangers. Their work is not always the most comfortable, particularly if they’re working in buildings where the heating or cooling systems is not working correctly. This is consistent with the saying, “why does the furnace or AC system always seem to go out in the coldest or hottest day of the year?’. They may also be required to maneuver through tight cramped areas to get to the piping and venting. In terms of illnesses and injuries, HVAC technicians have one of the highest rates among all occupations. To work as an HVAC technician, an individual must typically complete a formal training program. In some cases, the technician may receive on-the-job training. The time ti takes to become an HVAC technician can be from one year to five or more. Associate degree programs at community colleges often take two years to complete. Many HVAC technicians find apprenticeship programs from which to learn. While these may take from three to five years to complete, they provide the apprentice with the skill and knowledge needed to pass certification exams and work in all areas of HVAC technology. Although being certified as an HVAC technician may be enough to be hired, it’s equally important that techs keep up on training and continuing education. The heating and cooling systems made today are far more advanced than they were ten years ago. In order to be a qualified technician and make the most of the career, techs must have the knowledge and skill to install and maintain new systems as they come out on the market. Because HVAC techs often work with refrigerants, they must also keep up with EPA laws and regulations. HVAC technicians can obtain additional training at the following places. The BLS reports that these workers should see a job growth of 14 percent from 2014-2024. With the emphasis on energy efficiency, more individuals and business owners are purchasing new systems or upgrading their current HVAC systems, which is the main reason for the good job growth. The increasing number of state-of-the-art climate-control systems being purchased and installed increases the demand for HVAC technicians. Previous What Training Does it Take to Become an HVAC Technician?